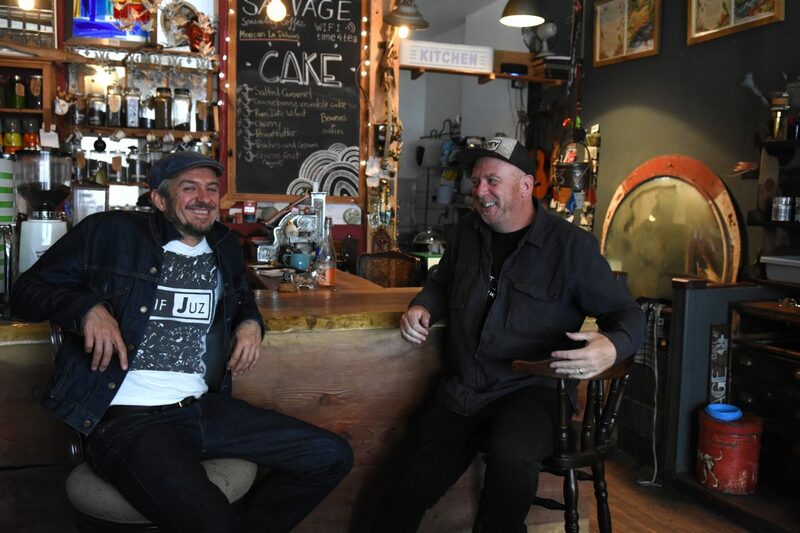 As former Cocteau Twin,Simon Raymonde prepares for Liverpool Music Week, Getintothis’ Del Pike discusses with him 4AD, Bella Union, 23 Envelope and the Adele dominated Indie chart. One of the sure-fire highlights of Liverpool Music Week will be an ultra- rare performance from Lost Horizons at Leaf, featuring former 4AD labelmates Richie Thomas and Simon Raymonde. Raymonde who enjoyed nearly twenty years of indie chart success with the wonderful Cocteaus is now perhaps equally known for his work as showrunner for Bella Union, the label responsible for amongst many great acts, The Flaming Lips, Fleet Foxes, Ezra Furman and John Grant. As Bella Union celebrates it twenty-year anniversary and Raymonde prepares to take to the stage for the first time in as many years, we spoke with him, and found out what has kept him in this increasingly difficult industry for so long. We’re on good terms before we begin as Simon has been a valuable member of the GIT awards judging panel previously and knows what we’re about. He’s clearly happy to discuss his role as performer and record label manager and believes sincerely that he still has work that needs to be done. We discuss Lost Horizons, the new project that finds Simon and Richie creating more dreamlike soundscapes with a whole roster of guest performers. The incredible Frenzy, Fear features mesmerising vocals from Bella Union artist Hilang Child and has been playing on a loop in this writer’s room. I bring up the issue of the lack of identity in the modern day Indie chart and how it differs from the days of The Cocteau Twins. A look at the chart now reveals that apart from the regular presence of The White Stripes’ Seven Nation Army and four-year old singles from The Arctic Monkeys, the chart is unrecognisable, dominated by Adele, Stormzy and many acts featuring “featuring” in their name. We discuss how difficult it is for traditional indie bands to find recognition in a chart that is effectively, completely alien to them. We talk about the difficulty of bands making it to a second or third album and Simon blames this on old fashioned record contracts still overseen by old codgers. A situation where a lack of profit on a first album means there is money to invest in another, “it’s just daft” sighs Simon. I ask how he combats this old-fashioned model with Bella Union. “I’m not a natural performer, I much prefer the studio, but I’ve been touring and playing with Mercury Rev as a guitarist, and I’ve so loved doing that, and I’ve been involved in the Scott Walker prom that happened. Simon is clearly someone who is passionate about his many platforms of work and we think that the gig will be an essential night on Music Week’s calender. 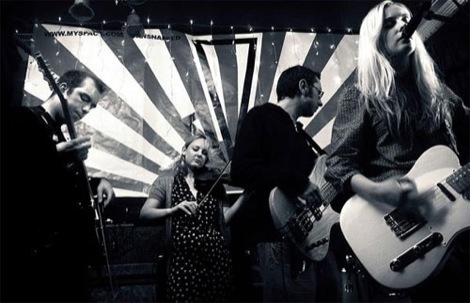 The Lost Horizons album Ojalá, is due for release in November and the band will appear at LEAF on October 30.